The body lying face down in the hut. 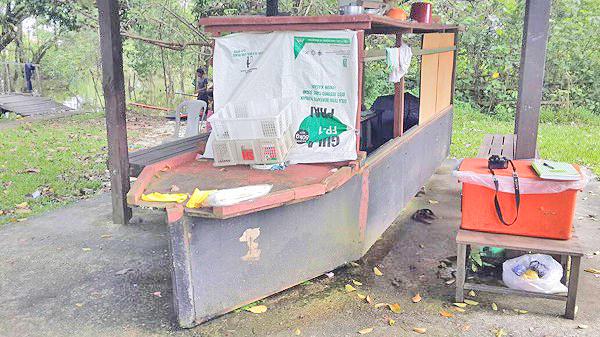 KUCHING: An elderly man was found dead in a boat-shaped hut located behind the Sg Apong Market here on Tuesday. The victim was identified as Vong Hua Tung, 66. It was said the victim had made the hut his home while making a living by selling vegetables or repairing boats owned by the villagers during the day. At 10.00am that day, the victim was spotted lying face down in the hut by a passerby who thought he was asleep. 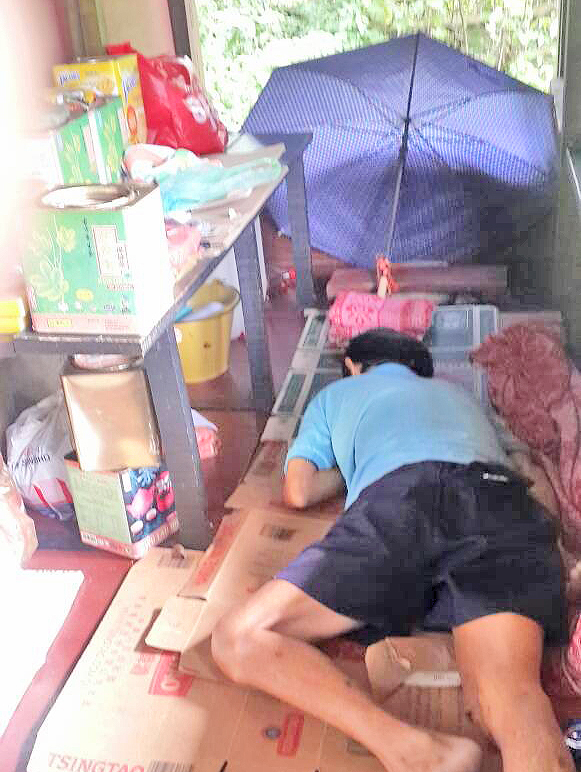 When he went to the hut to check on him (victim) at around 1.00pm he was shocked to see Vong’s body was stiff and contacted both the hospital and police. Vong was pronounced dead by paramedics who were dispatched to the scene. Police personnel from a nearby police station were also present at the scene to conduct investigations while waiting for the victim’s family members to arrive. Elderly man found dead in boat-shaped hut 0 out of 5 based on 0 ratings. 0 user reviews.